Ever since Apple's mid-October announcement, there have been two hot topics of discussion among those who watch Apple carefully: First, can the iPad replace your laptop? And second, can the iPad Air replace the iPad mini, or vice versa? That first question is something we've been grappling with—particularly with regard to getting real work done—ever since the very first iPad arrived on the scene. Since day one, the iPad has been a fine Mac-replacement for many people; with every improvement to iPad hardware and software, more join that list. But the iPad still can't do everything a laptop can. For example, I still can't use the tablet to record and edit the multi-track podcast I produce every week—but I'm sure the day will come when I can. That debate will continue for some time, I'm sure. The second topic, though, is of more immediate interest. 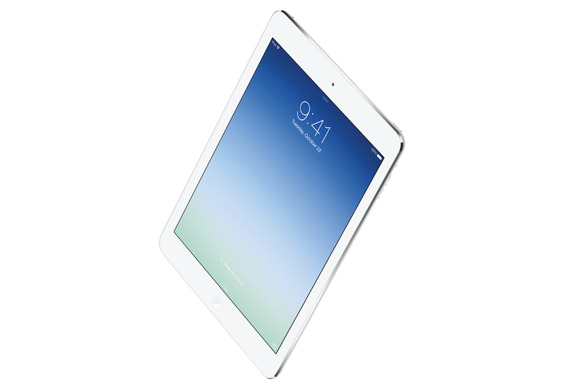 On November 1, the iPad Air arrives; "later in November" the Retina version of the iPad mini will follow. The full-size iPad's main advantages over the iPad mini have been its Retina display and faster processor; the iPad mini's advantages were its small size and light weight. Now the iPad Air is substantially smaller and lighter, and the iPad mini is fast and has a Retina display. Stalemate! Those are some of the issues I'll be thinking about when I pick up my iPad Air the day it's released and begin working on my Macworld review. I'm hoping to also file a few shorter dispatches as I use it, answering any questions readers have here in this article's comment thread or out on Twitter). But before I set out on that journey, I want to give a little background about how I've been using the iPad, before the advent of the Air and Retina mini. When the iPad mini came out last fall, I fully expected to try one for a few days and then pass it on to my colleagues, and return to my full-sized Retina iPad. But, much to my surprise, that hand-off never happened. The mini's light weight and small size won me over. But switching to the iPad mini did change the way I used the tablet in general. Specifically, I don't write on my iPad mini the way I did on my full-sized iPad. The main reason: It's harder for me to type on the smaller on-screen keyboard. I still read email and websites and read and post to Twitter. (I actually enjoy reading on the smaller iPad more because it's smaller, with one exception: comics, for which I still prefer the full-size iPad screen.) But I'm much more reluctant to type on the mini. Now, everyone's working style is different. Some people love typing on the iPad mini, because they can hold the device in portrait orientation and use their thumbs to peck on the keyboard. That sort of typing drives me batty. Others can be remarkably productive and creative, using the iPad mini with an external Bluetooth keyboard to get serious work done. The problem is that I'm completely unable to type on anything but a full-sized keyboard. And while the full-sized iPad is only slightly narrower in portrait mode than Apple's Bluetooth keyboard, the iPad mini is much smaller. (If I lay my iPad mini lengthwise, so its left side is flush with the left edge of that Apple keyboard, the mini doesn't even extend to the P in QWERTYUIOP.) And most of the time I don't tote around a Bluetooth keyboard; I just use the screen. 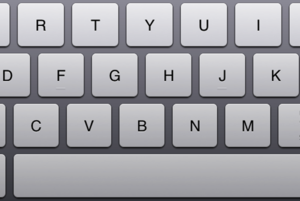 Which is why I'm less productive on the iPad mini than I was on the iPad: the keyboard is just too cramped. So when I pick up my iPad Air for review, one of the things I'll be looking at is whether it's smaller enough and lighter enough to pull me away from the iPad mini. 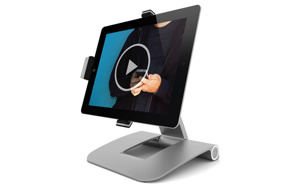 Will that extra screen size and larger on-screen keyboard seduce me back into the full-sized iPad fold? Will I decide that it's better to have an ultralight iPad mini that isn't so easy to type on, or a slightly unwieldy iPad Air that's better for typing and reading comics? I honestly don't know whether the iPad Air will cross that threshold for me. Using one for ten minutes the day of Apple's media event made me suspect that it could be light enough and small enough. But I have to really use the thing to really find out. In any event, I'm excited to give it a try, at home and on an upcoming business trip. I'll keep you updated on my progress, and I look forward to your questions and comments. Onward to iPad Air day! Updated November 1 with a video report.